AKA Cyclone SC wheels are designed to fit all standard 2.2"/3" short course tires and are compatible with Associated trucks with 12mm hexes. 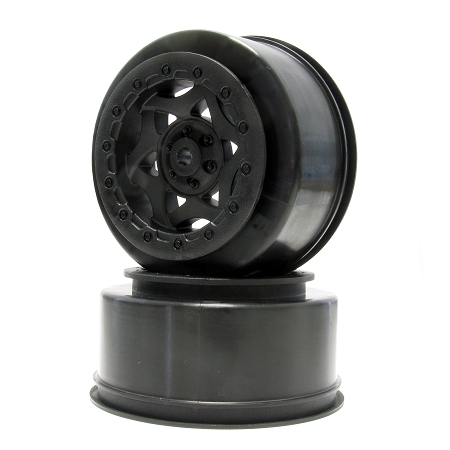 All wheels are made from the same proprietary nylon blend as the the 1:8 AKA wheels. The wheel design is modeled after the full-size wheels used on the trucks to keep that scale look that makes the SC class so cool. Behind the scenes the wheel is all about being light weight and strong. Each spoke of the wheel is hollowed out to save weight, while there are outer ribs to help support the barrel of the wheel for more consistent handling. 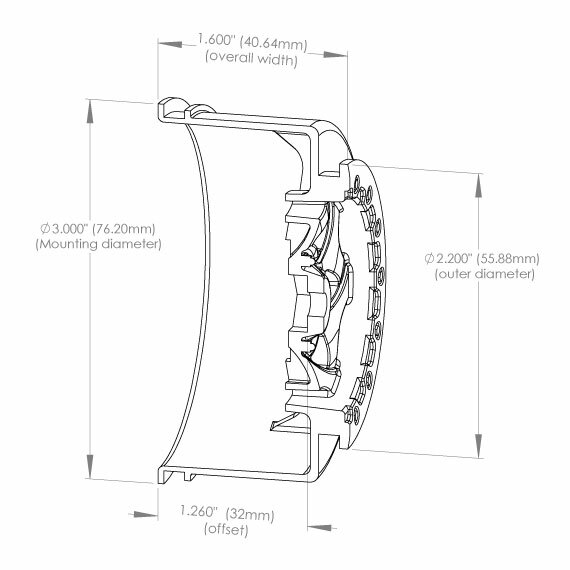 The wheel is designed to work with our standard buggy inserts which are included with each pair of AKA SC tires.